Chic, sleek and with gorgeous views of the ocean, 360 ̊ Bar & Grill is a romantic spot that is hard to beat. 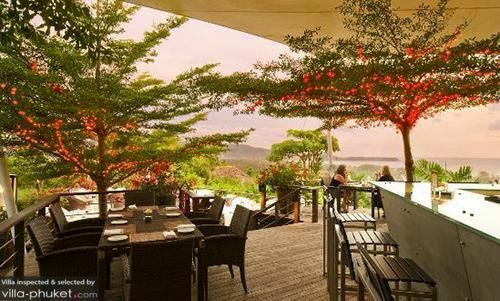 Situated close to Layan Beach, the bar’s hilltop location provide guests with sweeping vistas of the island’s lush greenery and rugged coastlines. It is best to arrive in the early evening so that you will not miss out on the best show of the night – an amazing tropical sunset. Diners who order light nibbles at 360 ̊ will find the food to be beautifully presented, served by wait staff who impress with their smooth and polite service.